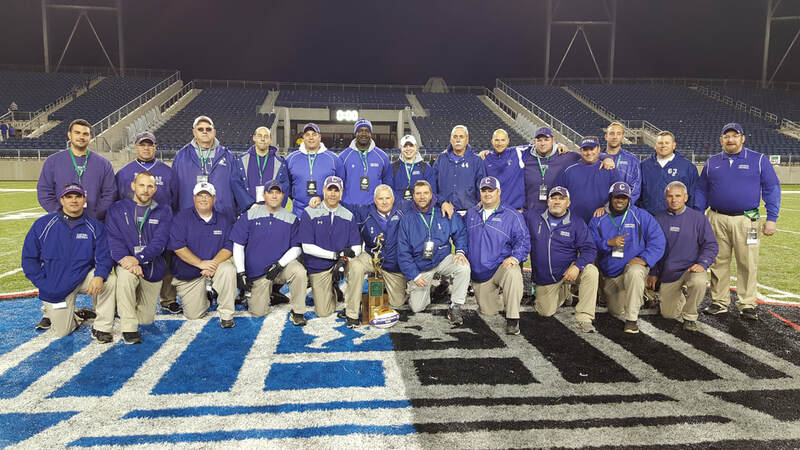 Coach Sharrett begins his 16th year as head football coach for Pickerington High School Central. Mr. Sharrett is a 1988 Alum from Capital University and a 1984 graduate from Circleville High School. 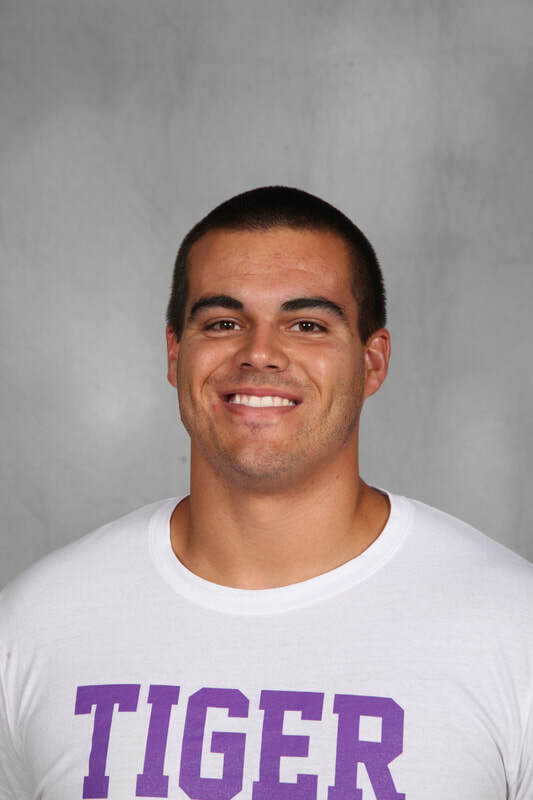 While gaining his degree in Secondary Education at Capital, he lettered four years in baseball and four years in football, receiving All Conference Honors for defensive play. Coach Sharrett received All League recognition in baseball and football during high school with additional District and State honors in football. Mr. Sharrett is a United States Government Teacher and Social Studies Department Chair. Jay lives in Pickerington with his wife of 28 years, Lynda and his daughters Megan (M4 Toledo Medical School, Miami Univ.‘14 / PHSC ‘10) and Emily (Third year Loyola University Chicago, Miami Univ. ’16 / PHSC’12). 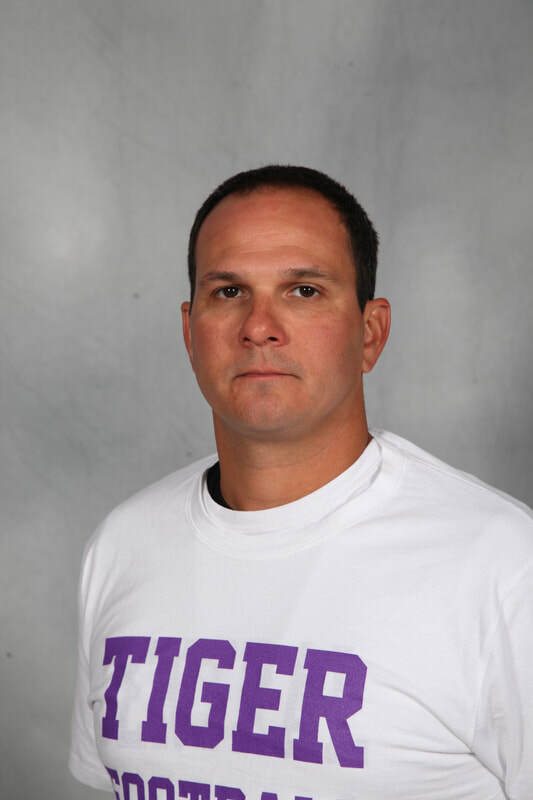 Coach Lomonico begins his 16th year as the Tiger Football Defensive Coordinator. He is a 1987 graduate of Pickerington High School where he earned a full scholarship to play football at Ohio University. While a Bobcat, Coach Lomonico earned a degree Environmental Geography from OU and a History/Social Studies degree from Ohio Dominican College. Mr. Lomonico teaches American History and History of Sports at PHSC. Jeff and his wife Erika have two sons, Max(16) and Jack(14). Jeff and his family reside in Pickerington. 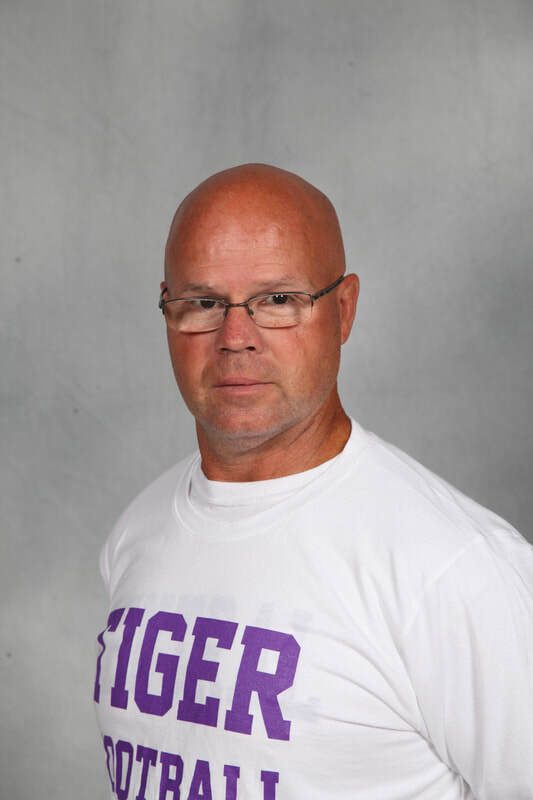 Coach Daugherty brings 18 years of coaching experience to the Tiger Football program. He is a 2000 graduate and a four year letter winner of Pickerington High School. While at PHS he earned All League and All State Honors in football and wrestling. Mr. Daugherty earned his Bachelors degree in Education from Ohio University. 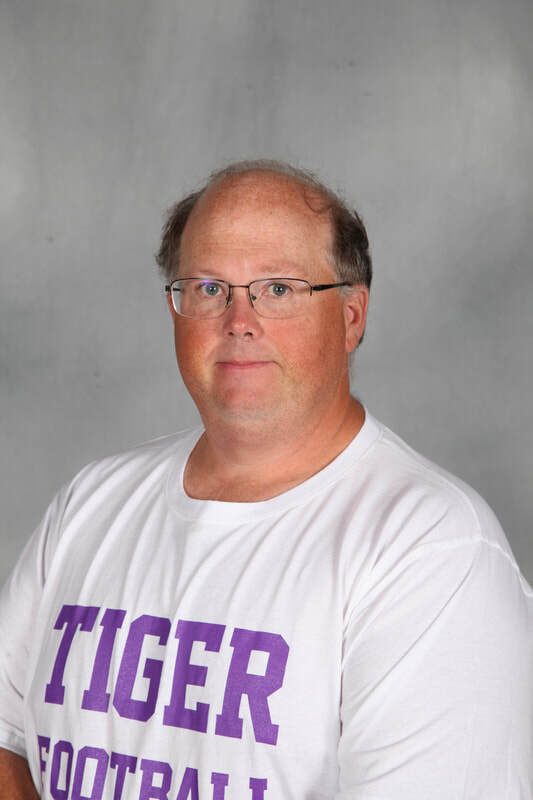 Mr. Daugherty teaches Social Studies at PHSC. Ryan resides in Pickerington with his wife Kelly and has two adult step sons. 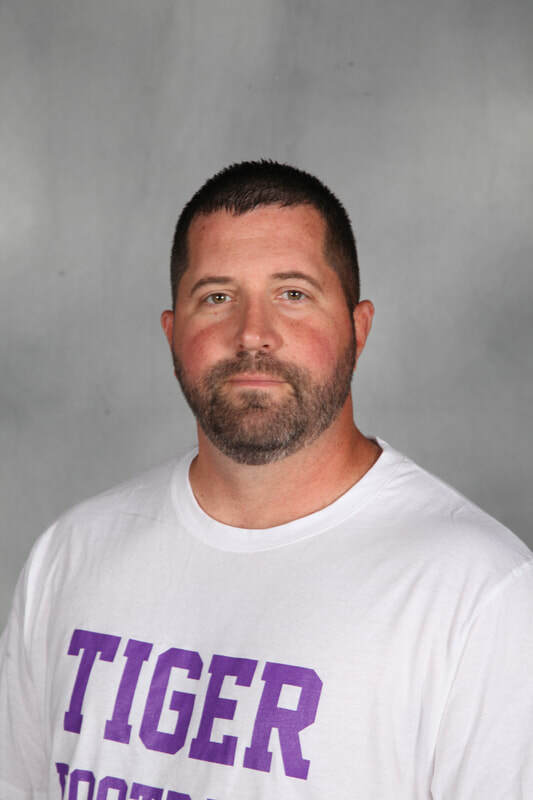 Coach Bristle brings 18 years experience coaching football to the 2018 Pickerington Central football season. He is a 1997 graduate of Grove City High School where he played Football and Wrestled. Dave earned his Bachelors degree in Education from Ohio Dominican University and his Masters from Miami University. Dave has been with the Pickerington Local School District as a Technology Specialist and Educator for 18 years. Dave lives in Pickerington with his wife Lisa, daughter Katie(9) and son Brent(5). 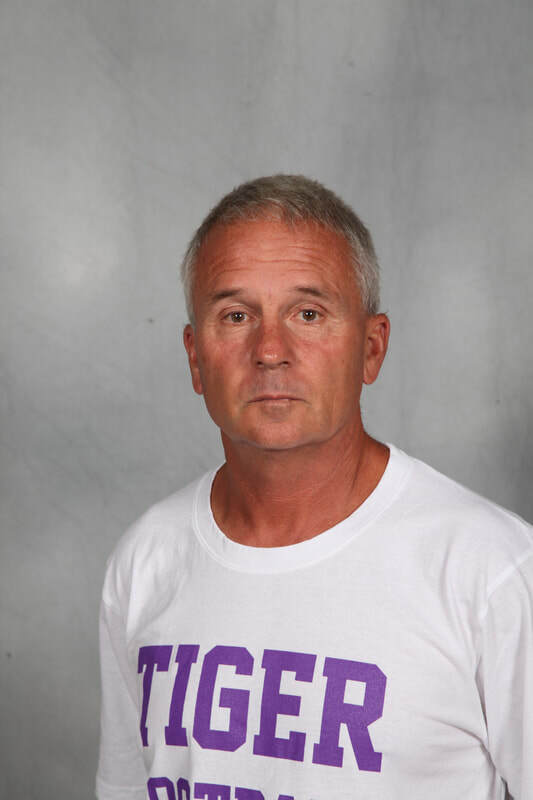 This is Coach Ellis’ 14th season with the Tiger Football program. He is a 1998 graduate of PHS and a 2004 graduate from The Ohio State University. Gaining his BS in Biology from OSU. Coach Ellis was a SSG in the Ohio Army National Guard with nine years of service to our country. SSG Ellis served in Operation Noble Eagle/Enduring Freedom. Mr. Ellis is a science teacher at Ridgeview Junior High. Brian lives in Pickerington with his wife Amy, sons Layton(9) Paxton(7) and twins; Emery (4) and Grayson (4). 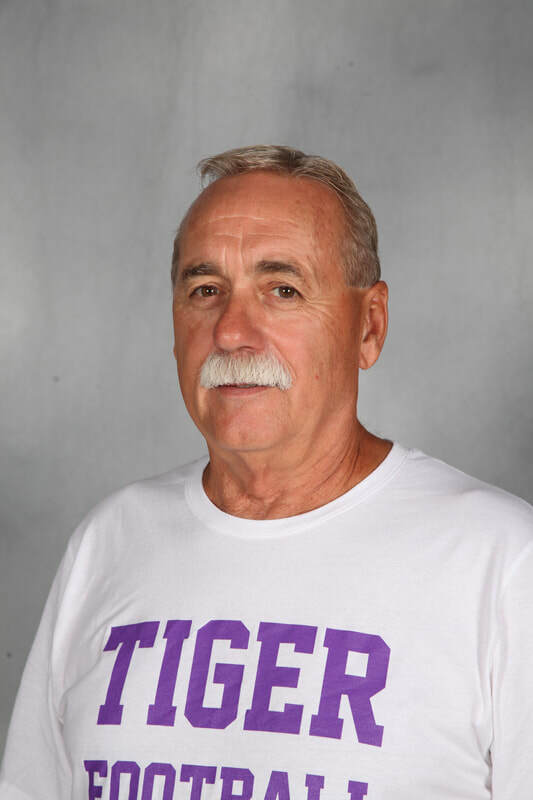 This will be Coach Walter’s 14th season with the Tigers. Coach Walter was an All Conference football player during his playing years at Liberty Union High School. Jason earned his Bachelors degree in Education from The Ohio State University. Jason was a member of the Football Operations Group with the Miami Dolphins before joining the staff at Central. Jason has been with the Pickerington Local School District as an educator for 16 years. Jason lives in Granville with his wife Kelly, son George(9) and daughter Emily(6). This will be Coach Styles’ 6th season with the Tigers. Coach Styles will be coaching the Outside Linebackers this season. Lorenzo attended and played football at The Ohio State University, as well as, spent six seasons in the National Football League. Lorenzo and his wife Laverna have four children, Tonia, Sydney, Lorenzo and Alex. The Styles family have been Pickerington residents since 1999. 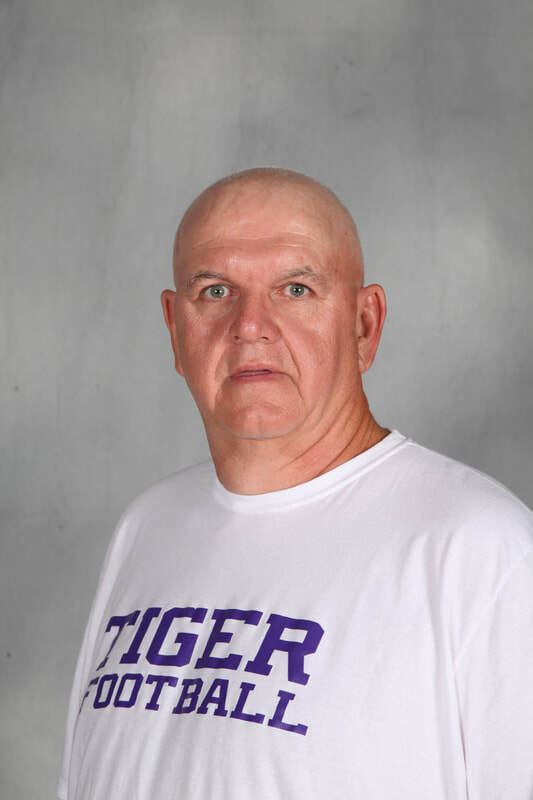 This will be Coach Doggette’s 5th season with the Tigers. 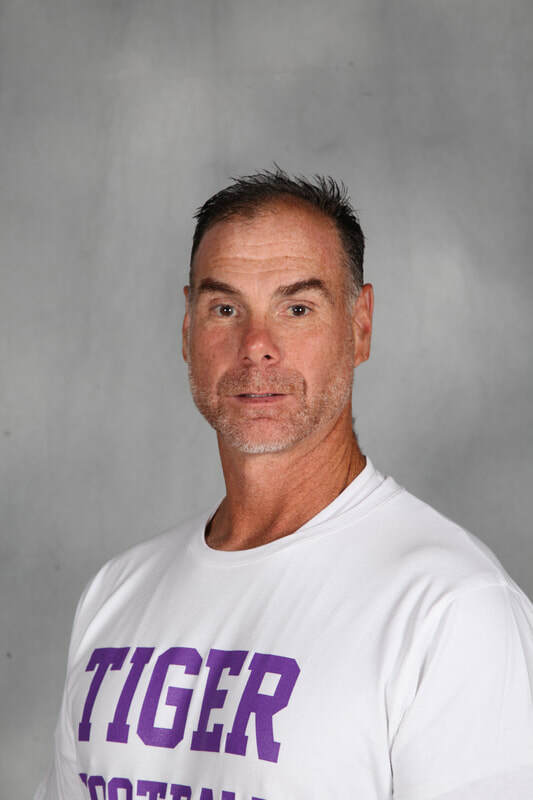 Coach Doggette brings 20 years of football experience to the Tiger Staff, both as a player and coach at all three levels: professional, college and high school. Cecil was a 2 year starter at West Virginia University. Coach Doggette earned his BA in Sports Management. Cecil resides in Pickerington with wife Becky and children Booklyn, Jayla, Makarri and son CJ. 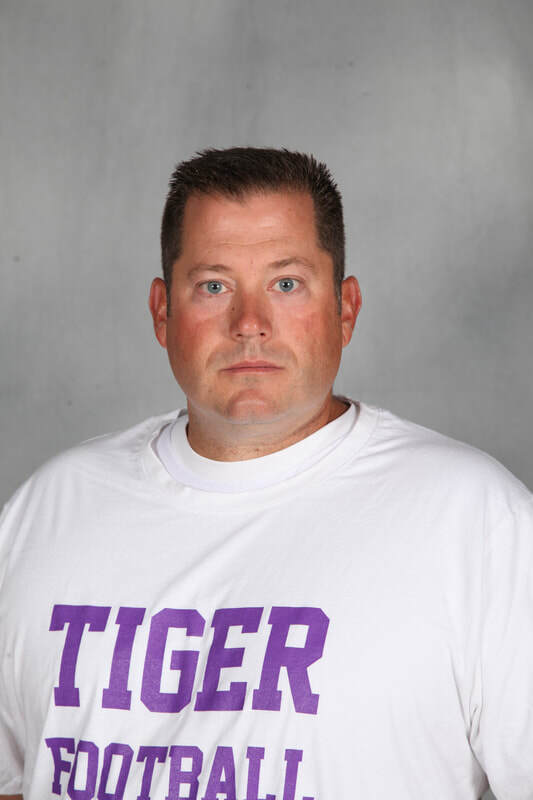 Coach Takos begins this season with 18 years experience, 15 of those in the Tiger Football program. Prior to coming to Pickerington, he coached and taught three years at Circleville High School. Coach Takos is a 1994 graduate of Pickerington High School, where he lettered in football and baseball, receiving All League and All District Honors in each sport. In 1998 he earned his Bachelor of Arts in History and Secondary Education from Otterbein University where he was a 4 year lettermen in Baseball. Mr. Takos teaches AP / Honors History at PHSC. Andy, along with his fiancée Brandi reside in Pickerington. This will be Coach Middendorf's 12th season coaching for the Tigers. He is a 1985 graduate of Pickerington High School where he played Football, Wrestled and played baseball. 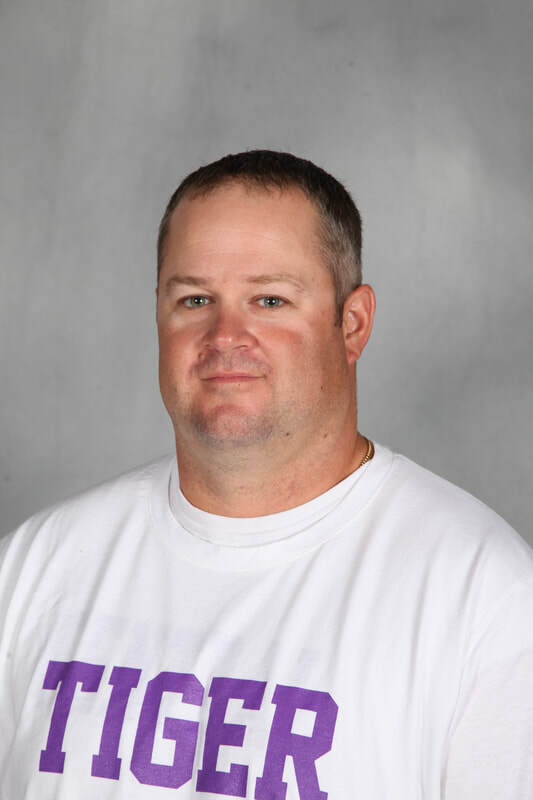 Coach Middendorf works at Wasserstrom, and also coaches Wrestling and Baseball at Pickerington Central. He lives in Pickerington with his wife Kelli and two son's Keaton(18) and Kasey(14). 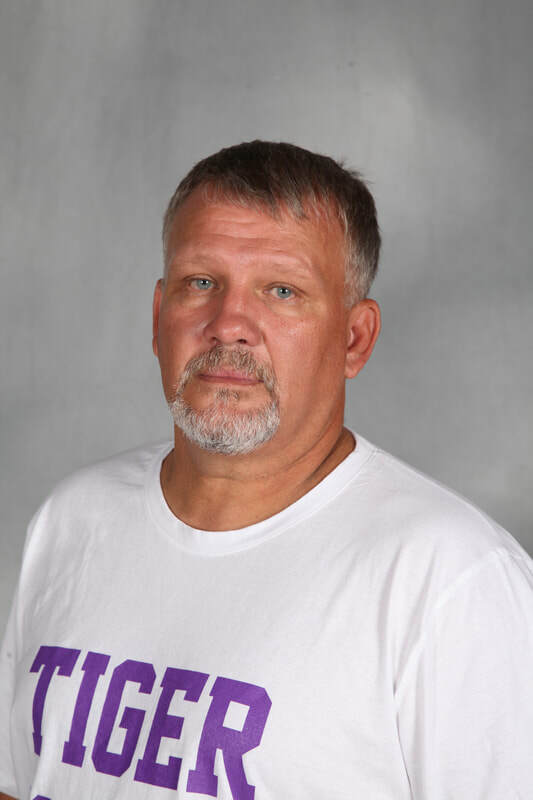 This will be Coach Trentman’s 2nd year coaching at Pickerington Central. Coach Trentman graduated from Vandalia-Butler in 2010. While there he lettered in football, basketball, and track. He attended The Ohio State University and earned a Bachelors Degree in Business Administration in 2014 and a Masters in Education in 2017. 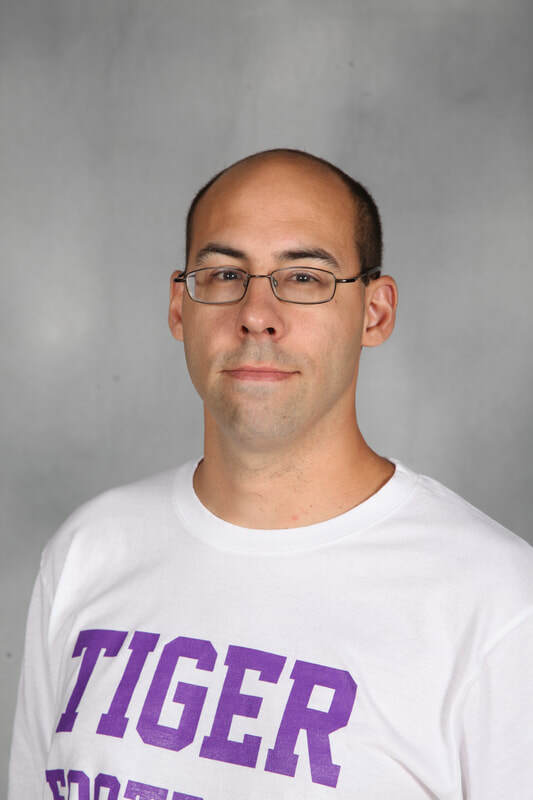 Mr. Trentman teaches in the Social Studies Department at Pickerington Central. Connor resides in Columbus.